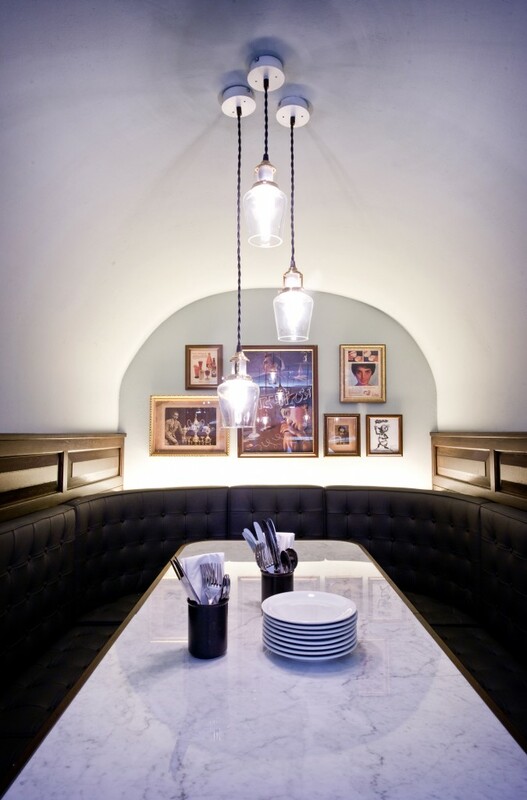 Dishoom runs two sites in London and draws on the heritage of Bombay Café culture. 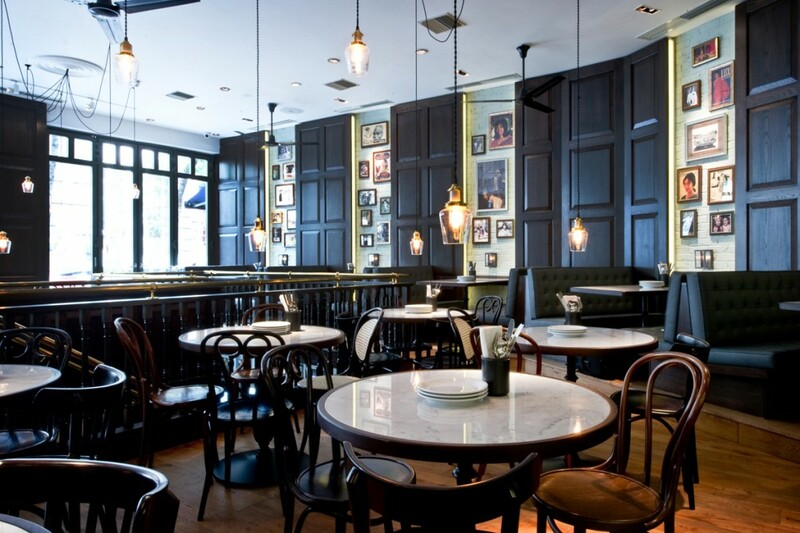 into were employed to create a lighting design for the Flagship Covent Garden restaurant which embodied this charm but with a modern twist. 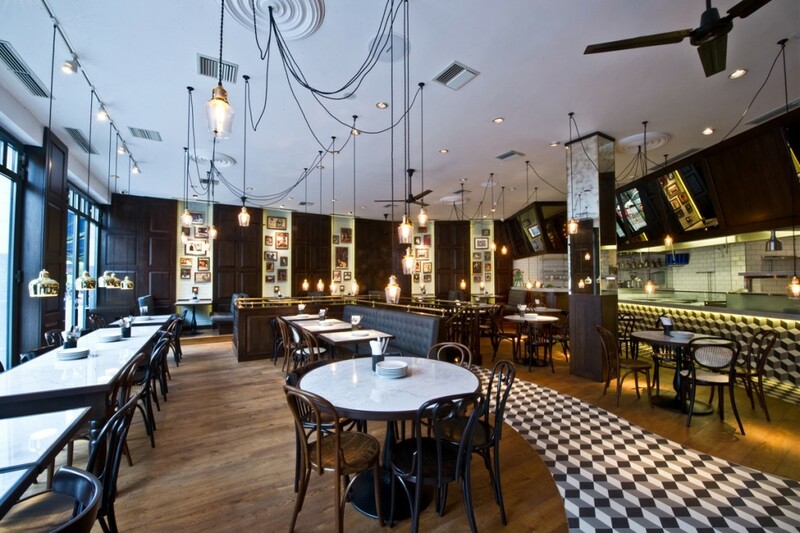 The developed lighting concept, in conjunction with designers Aphroditi Krassa, provides both ambient and accent lighting treatments. 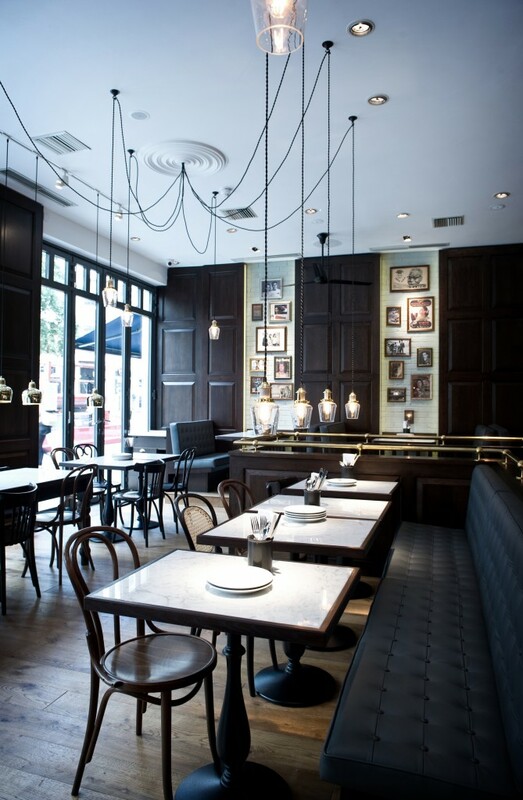 Strings of hanging feature lights with a network of exposed power cables reminiscent of the traditional Bombay cafes juxtapose against sleek polished brass and glass effect pendants. 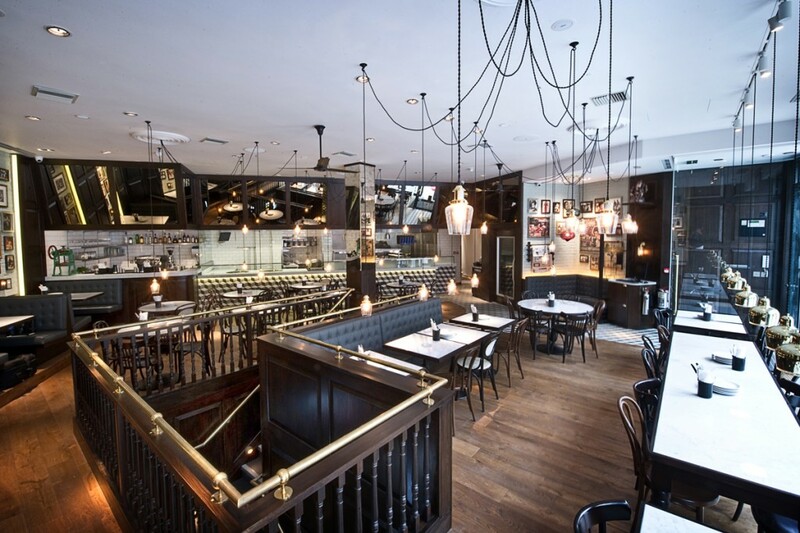 All lighting dims to a low level at dusk to provide intimate dining. 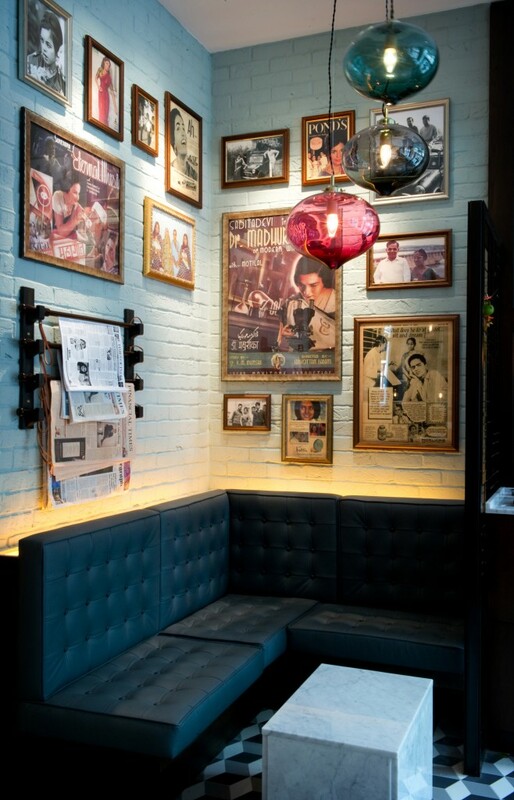 The lighting scheme works in harmony with the interior for a true modern representation of the Bombay Café style. 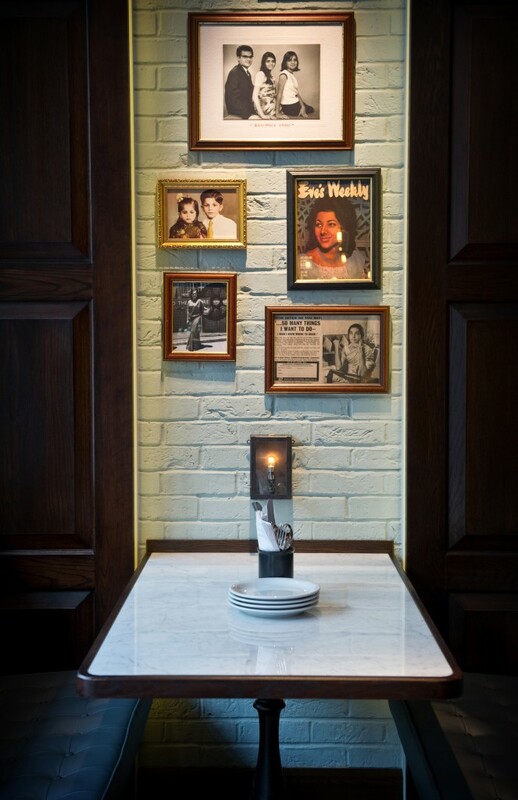 The Dishoom Covent Garden site was a finalist in the lighting design category at the Restaurant And Bar Design Awards 2011.